By their mid-twenties, Davida and Thomas were both heavily addicted to crystal methamphetamine. They both lost their families and homes. Thomas found himself seeking treatment at The Salvation Army Adult Rehabilitation Center (ARC) and Davida, feeling hopeless, sought help at The Salvation Army Addiction Treatment Services (ATS). Thomas learned structure, reconnected with his family values, and was inspired to be a better person and father to his children. Davida was able to find her solid foundation, “I sought treatment at other institutions, but ATS was different. The way they talked to me, I felt like a person of value. I felt like I mattered and they wanted the best for me,” she said. Thomas graduated from the ARC and found a stable job managing three clean and sober homes. “That’s where we met,” said Davida. “I was a resident in one of the women’s homes. I couldn’t stand him and the way he spoke, but he cared for me and kept me accountable.” Thomas said the secret to their love story is sharing parallel pasts and the love for their children. Today Davida is a professional welder and is a graduate of Honolulu Community College. 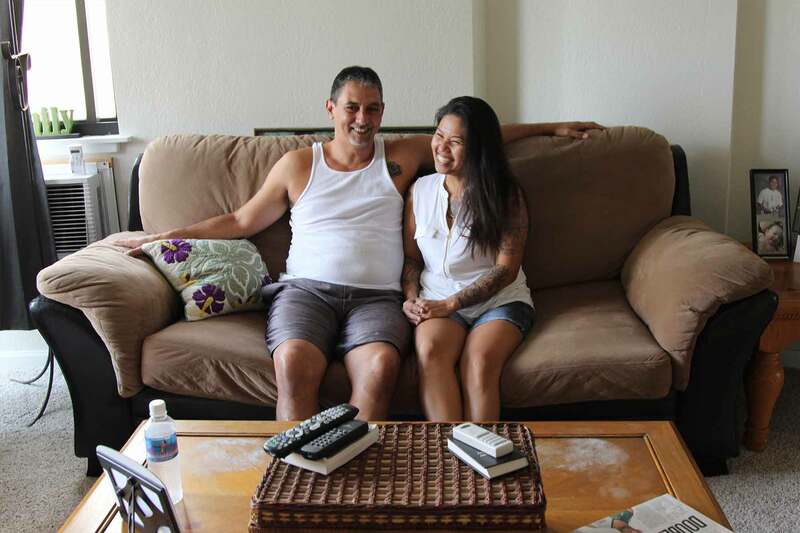 Thomas supports the family through his job as a resident manager of their Waikiki condo and continues to manage three clean and sober homes, half of his clients are graduates from The Salvation Army’s treatment programs.